Solo: #EnglishClub – How To Improve Our English Skill? Home Kelas Umum Solo: #EnglishClub – How To Improve Our English Skill? 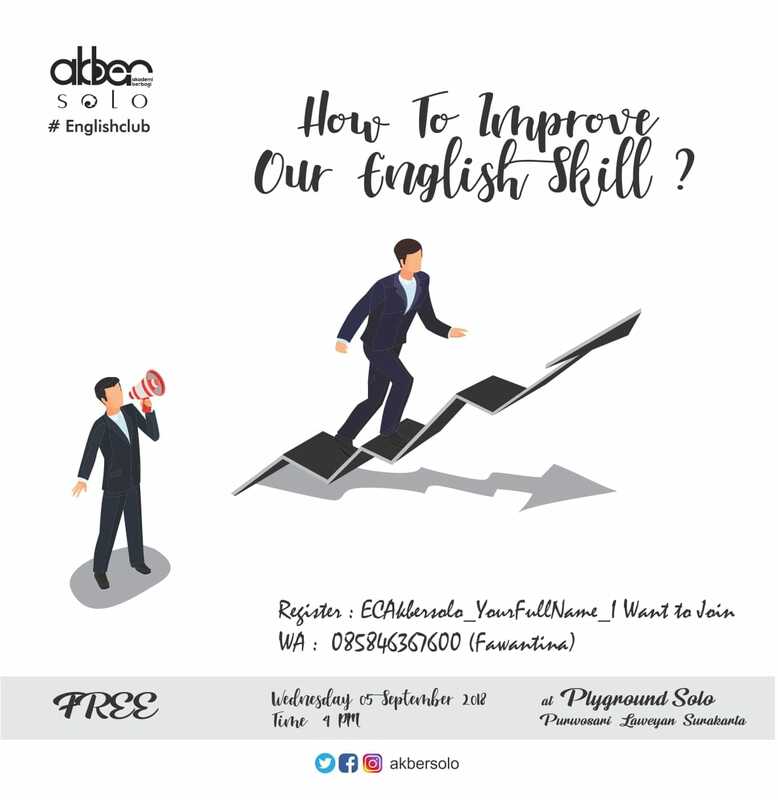 Hello buddies, Akademi Berbagi Solo English Club will be held again. In today’s world, English is being used as an international language of communication. It is estimated that over 50% of the pages on the internet are written in English which means that more online information is available to people who are able to read English. The ability to use English has a number of benefits, such as helping you to be success, building trust with colleagues and clients, enhancing your knowledge and skill, and building international relationships through cultural understanding. If you can speak English well, there will be favourable chances either pursuing higher education or experiencing a better job. But, how to improve our English skill effectively? This English club is open for PUBLIC and it’s FREE!